Whether you are building a new home or remodeling an existing one, QC Cabinets is here to serve you through the concept, design and installation phases of your job. We offer low, mid and high end cabinetry at affordable prices – from traditional to contemporary styling, including the handcrafted elegance of beautiful woods, decorative accents, special stains and subtle glazes, and fine European cabinetry. Our trained staff will work with you closely to create just the look you want. Explore our website and click on the Products section to see more photos of exciting kitchen & bath designs, entertainment areas, den & library cabinetry, and hospitality centers. Call for your in home or Showroom appointment. Designing and Organizing Solutions can create your "dream" space from new using the latest available materials in closet and cabinetry systems; or we can modify the system you have to maximize the storage and functionality of your closet, office, garage, or pantry. We start with a free in-home consultation. Give us a call and see what we can do for you! We will discuss all of your wants and needs and design a system that will be everything you've dreamed. Waterview Kitchens offers an Award winning design team, including Best of Houzz 2016, 2017 and #1 Crystal Cabinet Dealer in the USA. At Waterview Kitchens we specialize in high-end custom cabinetry design working with interior designers, builders, homeowners and architects to help you create the home of your dreams. We are exclusive dealers of Crystal Cabinets. 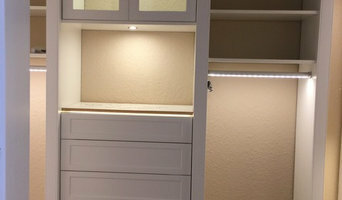 Cabinetry made in the USA incorporating all design concepts and price points. The Waterview Kitchens' team of designers has over 30 years of kitchen design, interior design, and construction experience. We pride ourselves in making our clients feel comfortable and at ease while traversing through the design process. We know there are many choices, options, decisions and questions that arise when designing a space. We enjoy providing our clients with options, answers and alternatives for their designs. Our one of a kind showroom is a fabulous place for our clients to browse our different vignettes. We showcase many style options: transitional, coastal, contemporary and traditional. Our showroom allows for clients to have a hands-on experience with the cabinetry that will be in their home. We strive to provide our clients with an exceptional experience. One that goes far beyond just being a client. We are proud to have developed lasting relationships that have progressed into friendships. As the President and Principal Owner of PB Built a third generation builder; I have over 30 years of residential and commercial construction experience and have built over 1 million square feet in commercial/retail space and over $200 million in residential custom luxury homes. Majority of builders spend eighty percent of their time selling themselves and their homes, but at PB Built, we spend 80% of our time managing the construction of the homes we build in an attempt to achieve perfection. When was the last time you saw the builder owners personally overseeing the construction of a home? I am personally on each home site almost daily, making sure the construction is up to our extremely high personal standards. I build each one as if it were my own. I believe that’s why many of the largest developers in the area continually ask us to build the homes in their neighborhoods. We insist upon going that extra mile – adding a little something extra. We don’t like to build the same home twice. We are always looking for ways to make each home truly unique to the homeowner. PB Built uses only the most exquisite and coveted materials in their homes. Customer service is a high priority for PB Built. Specializing in high-tech software, regularly updated photos and status on clients’ homes, clients can review selections online, PB Built homeowners quickly learn that they have truly become part of the PB Built family. AAA Custom Pools is a custom design/build firm in business for over 38 years. They have been honored with 11 international design awards by the APSP and over 40 Florida state awards. They offer custom pool construction, custom renovations, all repairs and weekly service. If you have a problem with your pool and/or equipment we can offer our expertise on the issues as well as a few possible solutions with a quote to repair. We receive work orders daily and with our quick turnaround time we never cease to satisfy our customers. We are a one stop shop; we not only service and maintain pools but are also a warranty station for the equipment we offer, such as Hayward, Pentair, & Next Step Products. Our field supervisor, Jeremy's sole purpose is to perform daily checks on our technicians as well as provide them with his seasoned knowledge. AAA Custom Pools offers an experienced team for a one of a kind weekly cleaning service. Our guys are friendly and qualified technicians, equipped to deal with your questions and concerns. Steve Thomson, President of Steve Thomson Homes, has been a local resident of Northern Palm Beach County since 1962, and in the construction business since 1975. Steve Thomson Homes specializes in small-to-large scale residential and commercial remodeling and new home construction in Northern Palm Beach and Martin Counties. Steve Thomson, a State Certified General Contractor, has the uncanny ability and reputation to provide a high quality product at most favorable prices in a timely manner. He has built and renovated homes in the communities of: •Tequesta •Juno Beach •Jupiter Island •Jupiter •Palm Beach Gardens •Heritage Oaks •Admirals Cove •North Palm Beach Country Club •Sailfish Point •North Palm Beach Heights •Jupiter Farms •Sewall’s Point A select listing of commercial projects includes: •The Shipwreck Bar & Grill •Bonnie Tile •Verizon Wireless Building •Jox Night Club •Waterfront Properties & Club Communities (The largest purveyor of luxury real estate in Palm Beach and Martin Counties. Have done all the construction and renovation for their offices since the 1980’s). Steve Thomson Homes is a well-respect and trusted company, recognized for hiring and keeping top contracting professions – where the average employee has been with the company for more than 25 years and the average subcontractor for over 15. "When you contract with Steve Thomas Homes, you’re getting an experienced team that always has your best interest in mind." Fischman Outdoor Kitchens is the premier outdoor kitchen company in South Florida, specializing in outdoor kitchen design, construction, and appliance purchase / installation. The Fischman Outdoor Kitchen Team strives for a superior product and delivery. More often than not, outdoor kitchens are an afterthought to the initial home design. Due to this very reason, the outdoor kitchen design system takes time and knowledge to master. Fischman Outdoor Kitchens has been servicing grills and outdoor appliances for years, allowing the Fischman Team to monitor how the appliances hold up over a fifteen year time span. This gives the Fischman Team an intimate familiarity with the products and allows for choosing only the best brands to recommend to the client. Fischman Outdoor Kitchen’s design service uses a step-by-step process to determine each design element, beginning with a consultation in the owner’s home. The Fischman Team will assess the area by taking measurements and photos while the client describes in detail their vision for their outdoor kitchen space. Once complete, the consultation will move to the showroom where the owner will then choose their appliances, cabinetry, and other design elements. Finally, the Fischman Team will produce a 3-D rendering of the finished product. The owner will then be able to approve or request changes. The Fischman Outdoor Kitchen Team is knowledgeable and thorough, understanding the potential risks associated with outdoor kitchens (i.e. gas leaks, fire hazards . . . etc. ), as well as how to minimize any risks through the use of robust materials and proper ventilation. There is no detail too small or unimportant as safety is a top priority with Fischman Outdoor Kitchens. Fischman Outdoor Kitchen offers a wide variety of outdoor appliances available for viewing in the showroom. But before you start sending out dozens of emails and making phone calls, sit down and think about your project. What's your budget? What is the scope of your project? 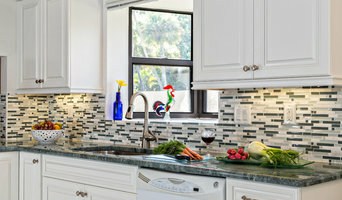 Will you need more than one type of professional to complete your home improvement project in Jupiter, FL? Can you afford to complete the full project now, or should you tackle it bit by bit? Once you've settled on your project’s priorities, budget and scope, it's time to start researching Jupiter, FL home design professionals. Don't sell yourself short and settle on the first professional you set your sights on. Make sure that you're working with someone local, who can get to the jobsite easily and efficiently. Look into the person’s reviews, ask to speak with former clients and to see previous jobs in person. Take a good look at their portfolio photos: How similar are these projects to your own? Be honest — that mansion might look beautiful, but it might not have a lot in common with your little bungalow. Reach out to multiple professionals — especially for larger projects — and don't settle for the first bid you hear. Comparing multiple Jupiter, FL professionals' bids and experiences can help you find the one that’s best for you. Ask a lot of questions now, so you won't have unexpected answers later. Find a home design professional on Houzz. Narrow down your search by type of professional and location. 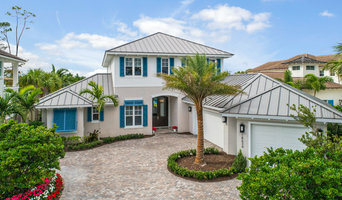 Browse Jupiter, FL portfolio photos, read client reviews and contact each Jupiter, FL professional for more information. Check out the information in the specialized professional sections too for tips on how to hire the right professional for your project.